Sooo... my computer finally gave up the ghost. Thus, I've been absent from the cyber world of blogging. I'm sure you've missed us and our overload of Abby pictures. Anyway, while we're computer shopping I'll leave you with a little snippet of our holiday weekend. Dustin took a couple extra days off work so we could spend some time with Yves Monsia. Okay, now humor me while I back-track a little. Dustin served a mission for two years (2005-2007) for our church. He was called to serve in the New York, New York North Mission. While there, his companionship taught the Monsia Family about our beliefs, and they made the decision to be baptized members of The Church of Jesus Christ of Latter-Day Saints. 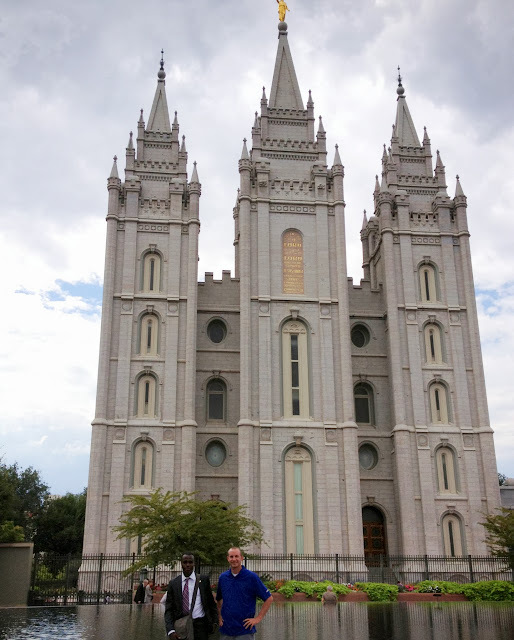 On Tuesday we met Yves Monsia (on the far left) at the SLC airport, showed him around temple square, the conference center, and the Bountiful Temple, then brought him back to our place, stuffed him full of food, and sent him to bed, before he reported to the MTC on Wednesday. 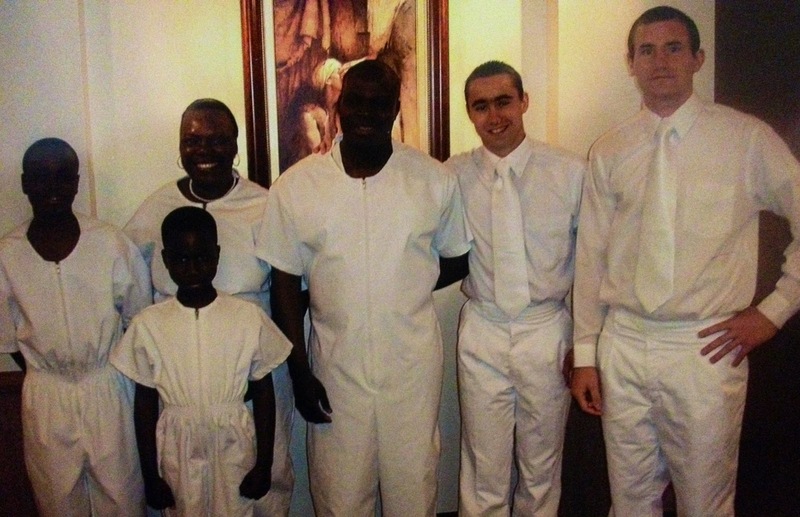 Guys, because two 20 year old boys (one being dustin) ran into Yves' mom outside a grocery store (about) five years ago, Yves will now serve his own mission for two years and touch countless lives with the gospel truths. Because, it is true. What else would explain this? Amazing. Such a special experience. As we rounded the corner into Temple Square Yves' face lit up as he saw the Salt Lake City Temple for the first time in his life. I just about burst into tears on the spot. So tender. It was so sweet to watch him soak it all in. A few months ago, Yves found Dustin on Facebook. He sent him this message: "Ackerman, I'm so happy to have found you on Facebook. Seeing your pictures with your new family always bring a smile to my face. On behalf of my family and I, i want to express my gratitude for everything you and Gonon [the other half of the missionary companionship] have done for us. Introducing us to the church completely change our lives for the better, and you guys are the main reason why I decided to serve a mission. I made a promise to myself to serve a mission after you guys left, because I saw you guys as heroes, and it was always a dream of mine to be some kind of a hero (lol). Inviting the gospel to people lives, sharing that fruit of happiness (the Book of Mormon) with others, changing their lives for the better, is my definition of a hero." That's so neat! What a cool experience. 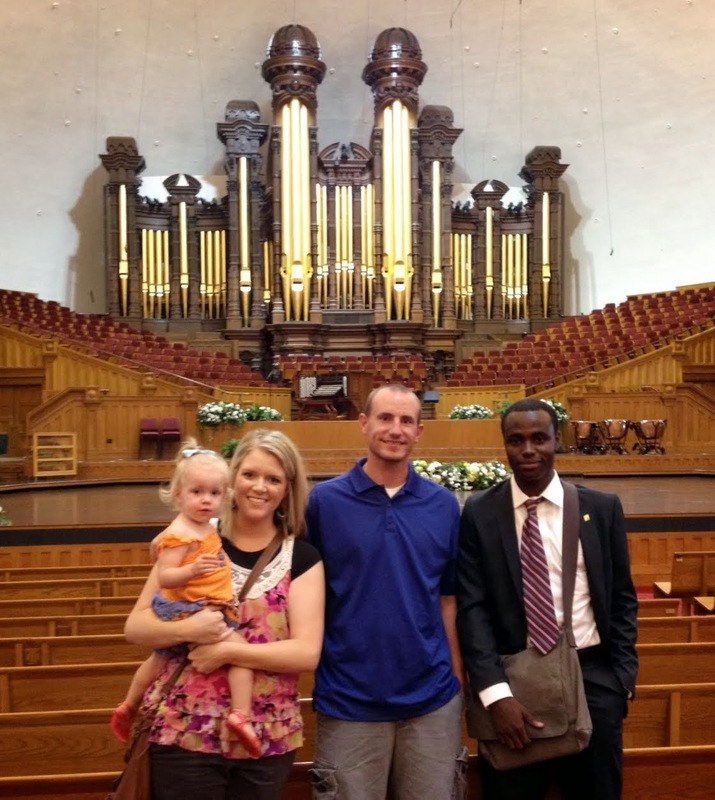 I love the gospel... and missionaries... and good stories like that.